Vector portrait of the popular member of the Rolling Stones. Smiling happy musician wearing a casual fedora with decorations, shirt, jacket and a scarf. Casual clothing and a happy face of the famous musician and songwriter. 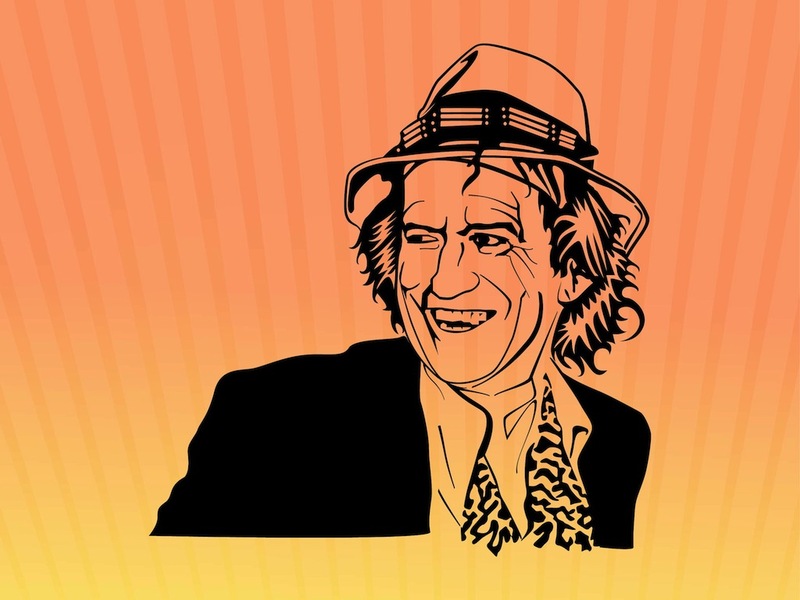 Free vector portrait for all Rolling Stones posters and your own T-shirt prints. Tags: Celebrity, Famous Person, Music, Musician, Rolling Stones, Songwriter.